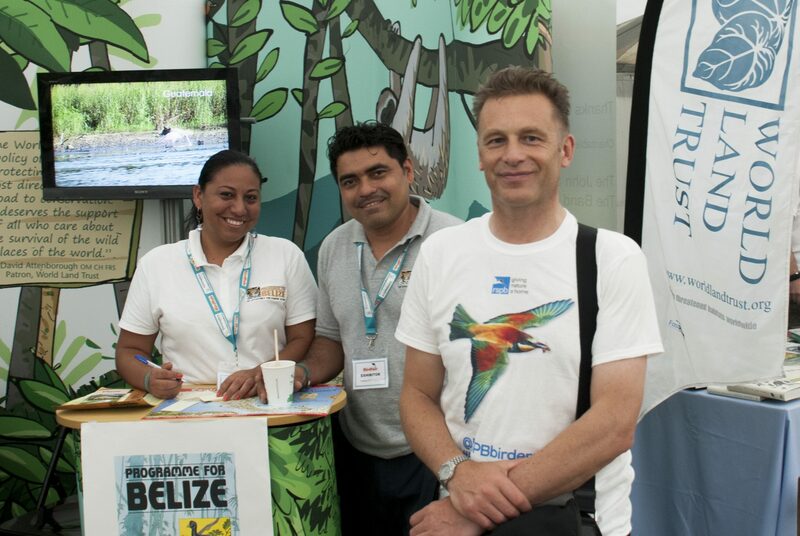 World Land Trust Patron Chris Packham, has been a wildlife fanatic for as long as he can remember. His parents recall how he tried to ‘collect’ creatures that crept and crawled across their lawn before he could even walk. With the years the obsession grew and at an early age Chris became a champion of ‘unloved’ animals. Bats were a particular love, as were snakes and lizards. Since becoming a Patron, Chris has been closely involved with the development of Controversial Conservation, a periodic debate organised by World Land Trust at the Royal Society in London. He is a regular on WLT’s stand at the Rutland Birdfair every August, and supports us through his art and writing. Chris is the champion of the humble species as opposed to the ‘cute and cuddly’. An outspoken critic of single species conservation, he argues that conservationists should be looking at the broader picture of ecosystems and habitats. In 2010 he was awarded the Dilys Breese British Trust for Ornithology Medal for his outstanding work in promoting science to new audiences. Chris has supported World Land Trust since 1994, when he assigned the Public Lending Rights in his books to the Green Ink project. He continues to write and has most recently produced a stunning new memoir, Fingers in the Sparkle Jar, documenting his childhood and life with Asperger’s syndrome. Having travelled the globe and had countless close-up encounters with wild animals throughout the world, Chris still believes that there is no better place for wildlife than in your own back garden. His book Back Garden Nature Reserve was published 20 years ago. “It’s more rewarding to spend 10 minutes with a woodlouse in the palm of your hand than 10 minutes watching a tiger on television,” he says in the book. It’s the tickling feet of the woodlouse that make all the difference. Chris first trained as a cameraman and is now a renowned wildlife photographer. Today he is best known as a TV presenter. His TV career launched in 1986 with the award-winning “Really Wild Show” on children’s television, which he hosted alongside another WLT supporter, Nicola Davies. WLT Patron Steve Backshall has also since presented the show. More recently, he has become a household name through Springwatch and Autumnwatch. These two hugely popular programmes are firm fixtures in the BBC schedule.